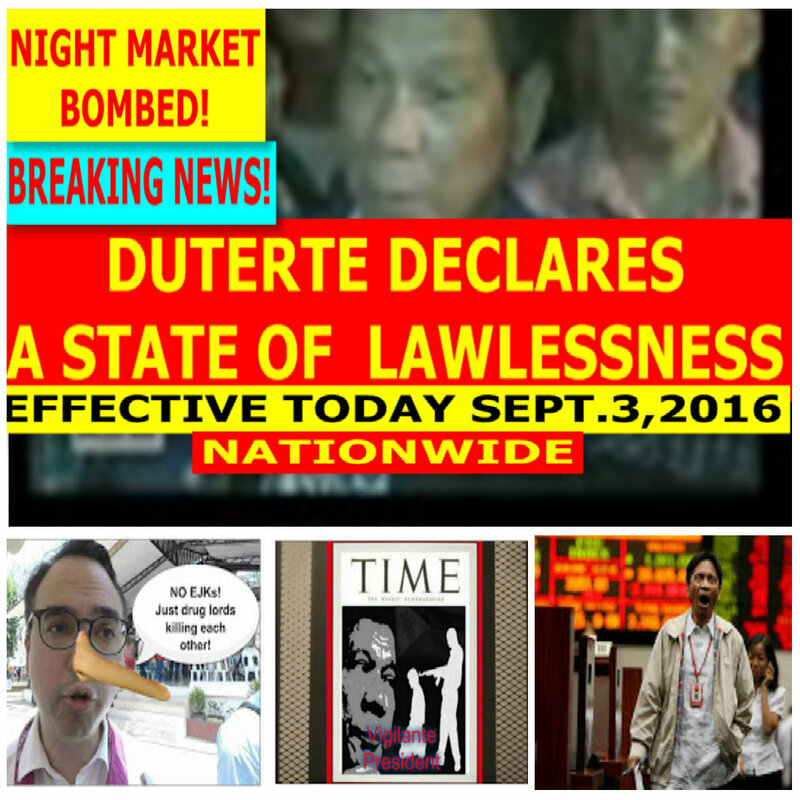 The EQualizer Post: Learn From History :How They Justified the "First" Martial Law in the Philippines! 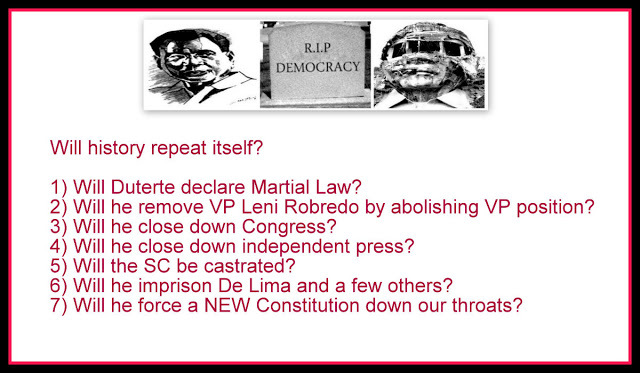 Learn From History :How They Justified the "First" Martial Law in the Philippines! 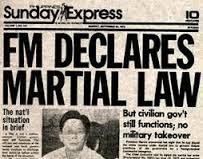 to the Marcos Martial Law days? 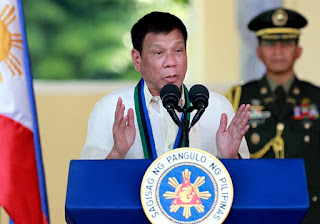 Davao City Mayor Rodrigo Duterte scared off those clamoring for him to run for president in 2016, with a warning he will do a Ferdinand Marcos if he is in Malacanang. The late dictator Marcos ruled the country for more than two decades half of it under martial law, until People Power forced him to flee the country in 1986. It’s been reported that Juan Ponce Enrile admitted at a press conference with Fidel Ramos in February 1986 that the alleged plot to assassinate him on September 21, 1972 was a fake ambush used by the dictator Ferdinand Marcos as one of the justifications for martial rule. However 40 years later, in an interview with news anchor Howie Severino on GMA News TV program “News To Go,” the former Defense Minister, who is also one of the prime architects of Marcos’ dictatorship, reiterated his claim that the 1972 ambush was not faked but staged. 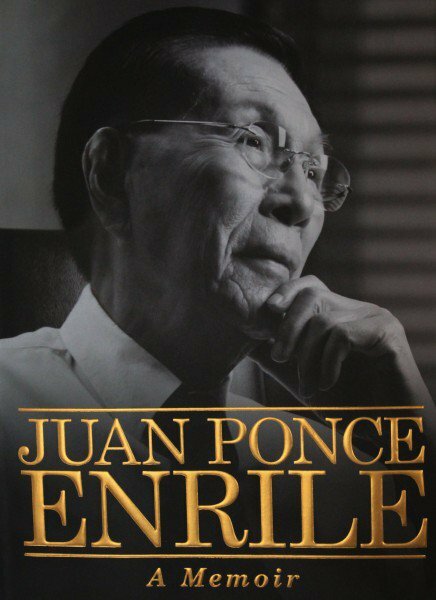 It was a controversial claim he made in his newly launched book, "Juan Ponce Enrile: A Memoir,” and he went on to qualify the incident in this manner: "I said, the ambush was staged, but I did not say who staged it. I did not say that I staged it." But really? Faked or staged? Does it matter? Are they not the same? In its research, the Inquirer also came upon several journalists who said that Enrile himself had admitted not only during the Feb. 22, 1986, press conference but also in several interviews that the ambush was fake. Bonner said he had two long interviews with Enrile in December 1985. “He was emphatic that the attack on him had not been staged, but in February 1986, after he had broken with Marcos and led the revolt that ousted the Philippine president, Enrile admitted that the attack on his car had been faked,” Bonner wrote. “Several American intelligence officers told me that the car attack was phony. ‘Flimflam,’ said one,” Bonner added. Pulitzer Prize-winning journalist Katherine Ellison also said that Enrile himself admitted that the ambush was fake. “After the shooting died down, I went out. I took a peek at what was happening outside my fence, and I saw this car riddled with bullets. Nobody was hurt; there was no blood. The car was empty,” Lopez said in the book. “Our driver happened to be bringing our car into our driveway at around that time, so he saw the whole thing. He told me that there was this car that came by and stopped beside a Meralco post. Some people started riddling it with bullets to make it look like it was ambushed. But nobody got killed or anything like that. My driver saw this. He was describing it to me,” Lopez said. 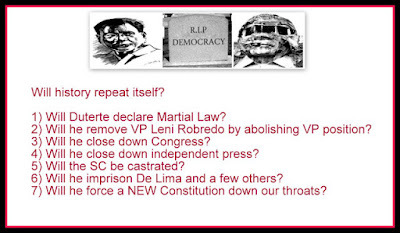 A Simulation For Martial Law? President Duterte early today said he was declaring a “state of lawlessness” in the whole country, following a deadly explosion at a bustling night market in his hometown of Davao City. Philippine National Police chief Dir. Gen. Ronald “Bato” dela Rosa took offense at some critics accusing the Duterte administration of orchestrating the deadly explosion in Davao City, the President’s hometown, to justify an eventual declaration of martial law in the country. “Napakasakit naman na akusasyon ‘yan. Mahal na mahal po ni Presidente ‘yung aming siyudad ng Davao. Hindi niya kayang gawin ‘yan (That accusation is really painful. The President and I love our home city of Davao. We cannot do something like that). 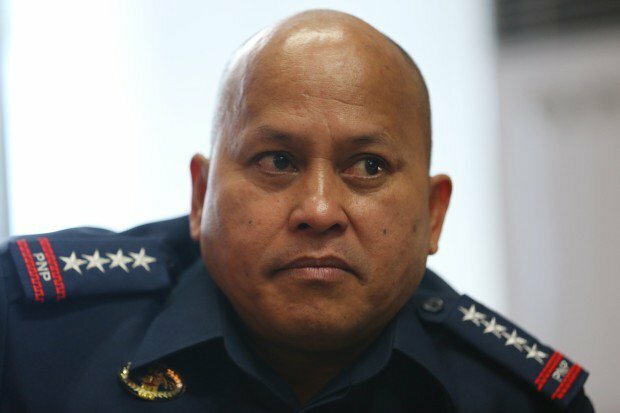 We’ve already had enough of heartaches already,” dela Rosa said in a hastily called press conference at Camp Crame before flying to Davao City. Moments after the blast that hit the crowded night market on Roxas Avenue there, President Duterte placed the entire country under a state of lawless violence, ordering the military and police to bolster campaign against terrorism. Dela Rosa, also a native of Davao del Sur, belied “unfair” claims that what Duterte had declared was a prelude to martial law. “Nakailang bomba na po ‘yung Davao since I became a policeman at ramdam po namin ‘yung sakit kapag ikaw ay na-bomba tapos i-accuse mo pa sa Presidente na kagagawan ng gobyerno?” added the police chief. “That’s a very unfair accusation at ako mismo naaaburido ang ulo ko kapag naririnig ko ‘yan (I myself am irritated each time I hear that). Sorry,” he said. 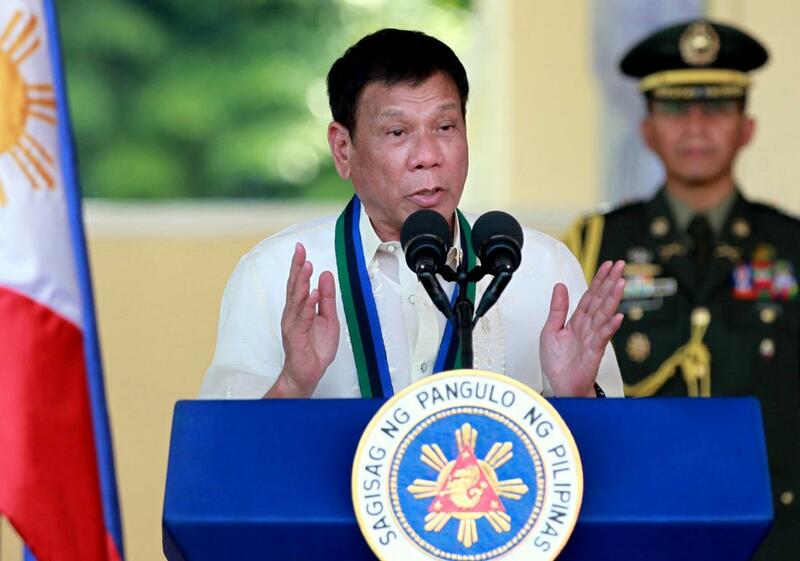 The PNP chief said critics, particularly those from human rights groups, questioning Duterte’s move should just keep quiet and cooperate with the government in its fight against terrorists. “‘Yong mga human rights groups na mag-question, dapat tumulong na lang sila para walang bomba na sasabog sa ating bansa. Tutulong na lang sila sana. Huwag na sila mag-question. Wala pa ngang ginawa question na sila,” he said. “Sana naman in times like this, tayong mga Pilipino, tayo ay tinamaan. Sana po tayo ay magkakaisa para naman hindi tayo magkawatak-watak (I hope that in times like this, we Filipinos are the ones being attacked. We should unite and not be divided),” dela Rosa added.